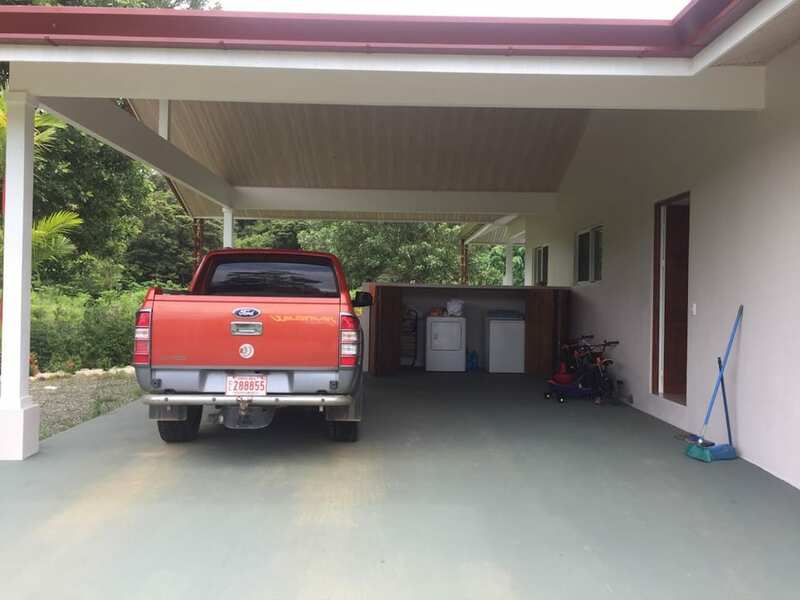 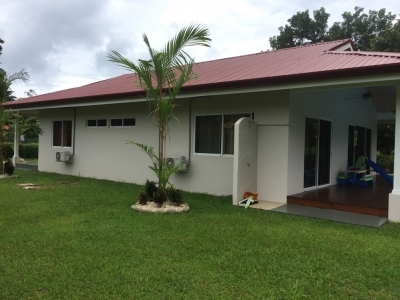 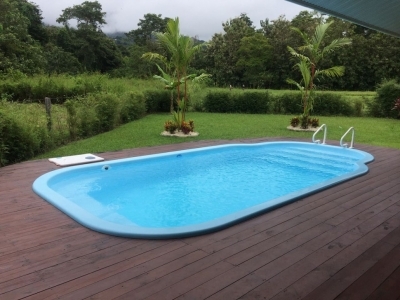 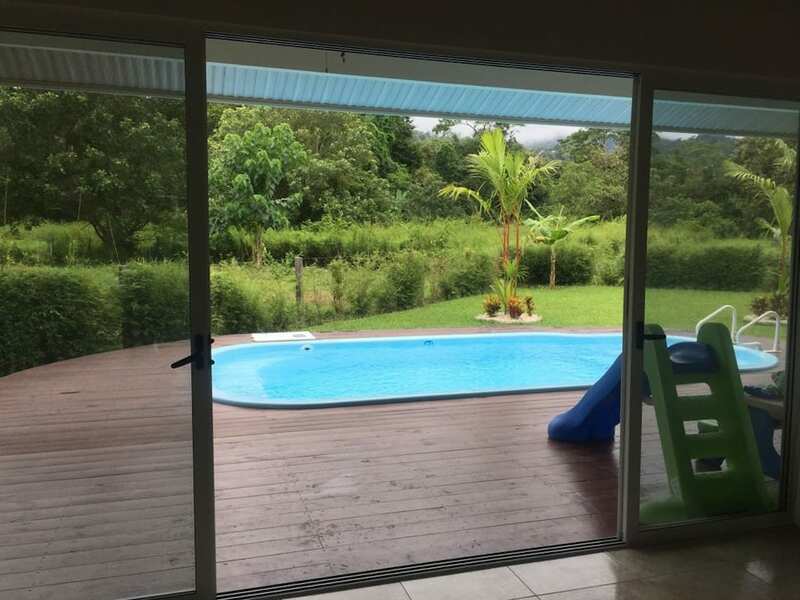 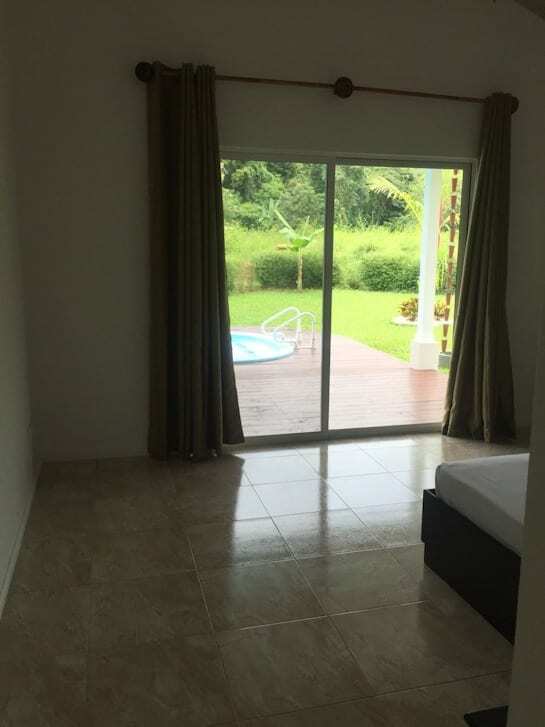 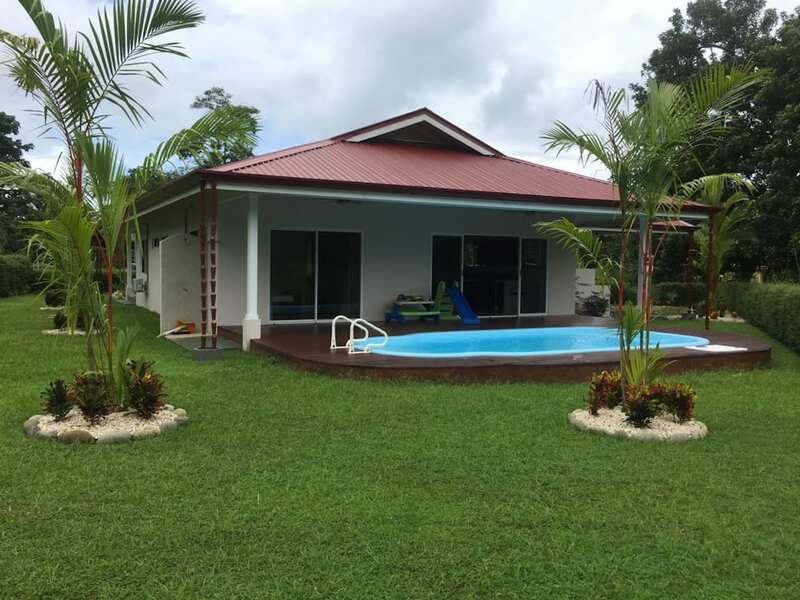 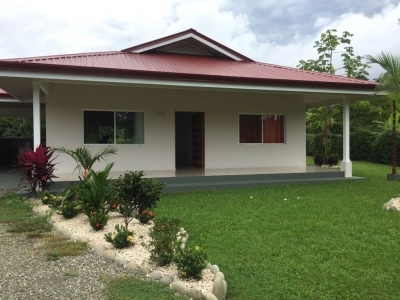 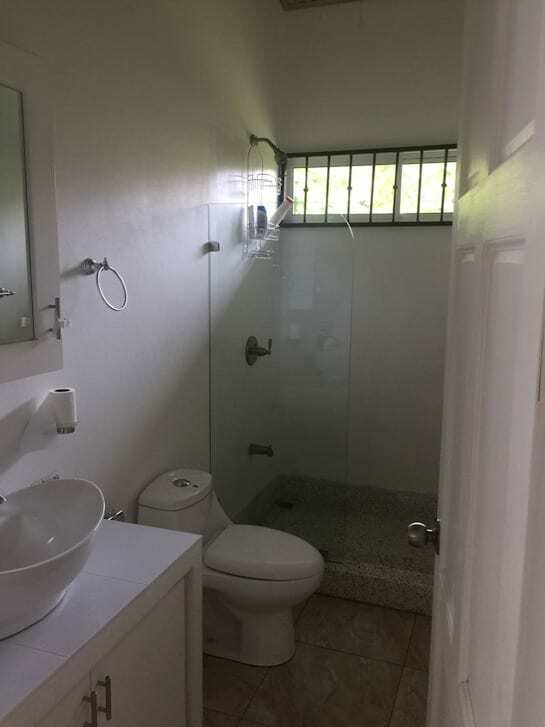 0.23 ACRES – 2 Bedroom Home With Pool With Central Uvita Location!! 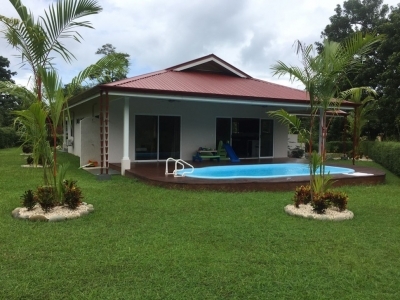 NEW – 2 bedrooms and 2 bathrooms with pool, deck and large carport on a large corner lot. 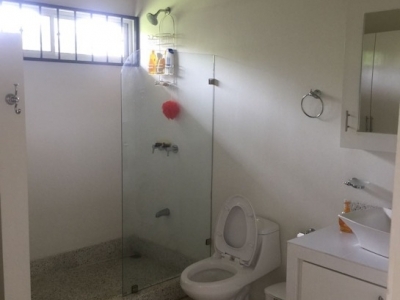 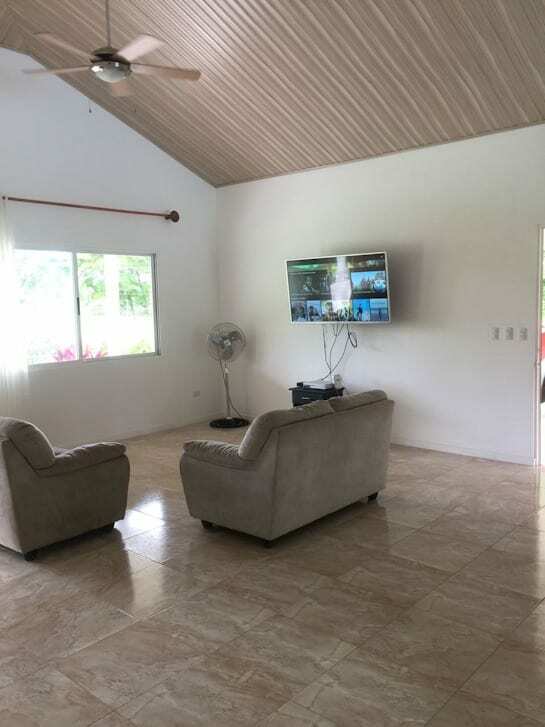 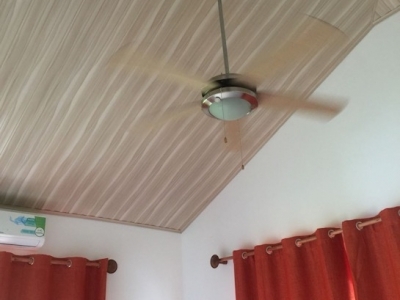 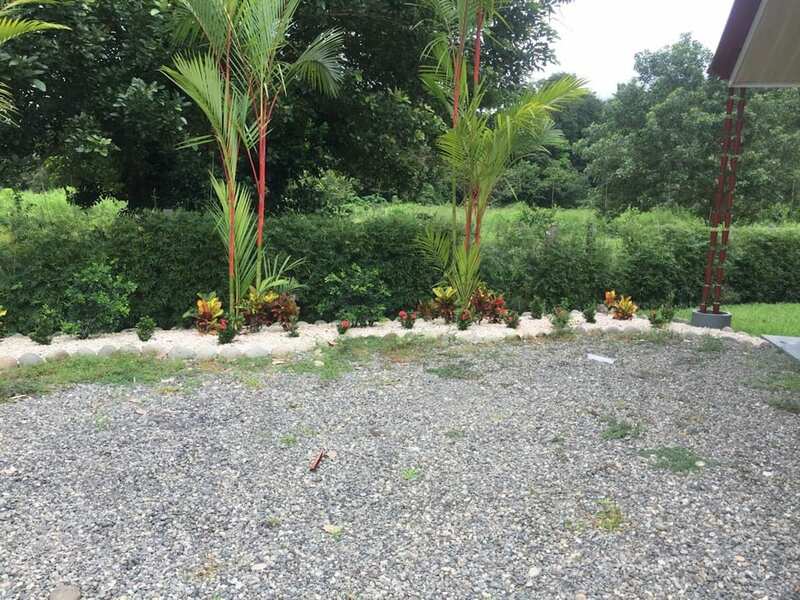 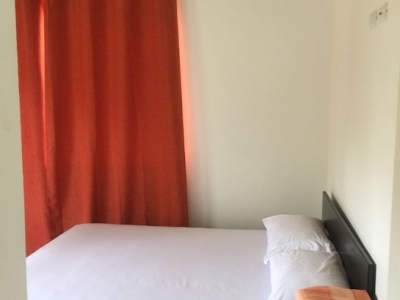 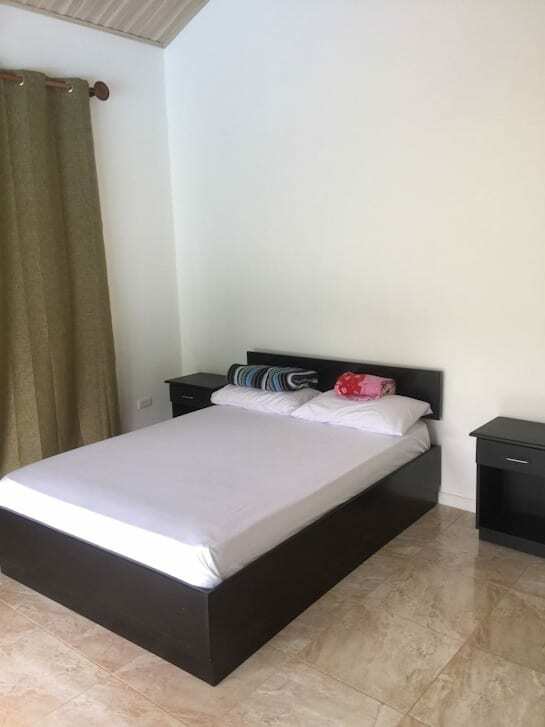 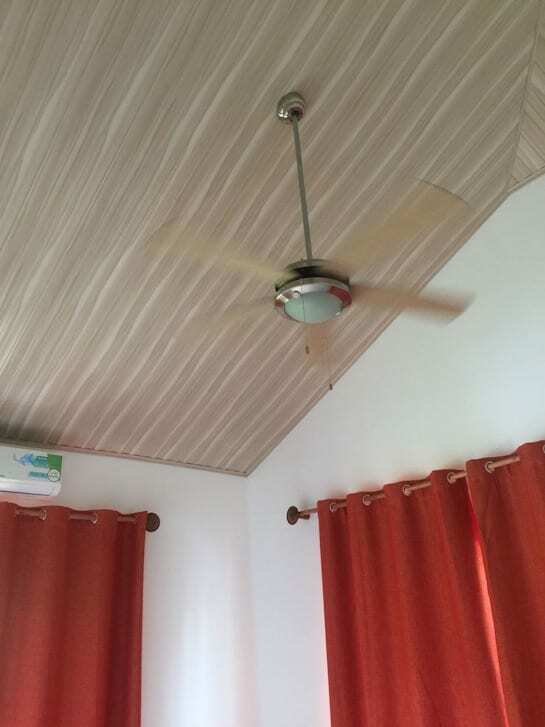 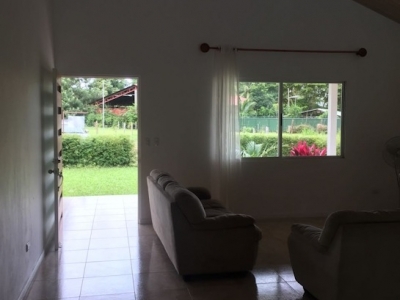 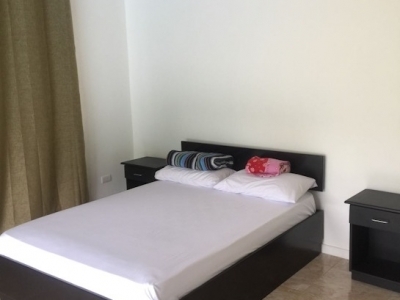 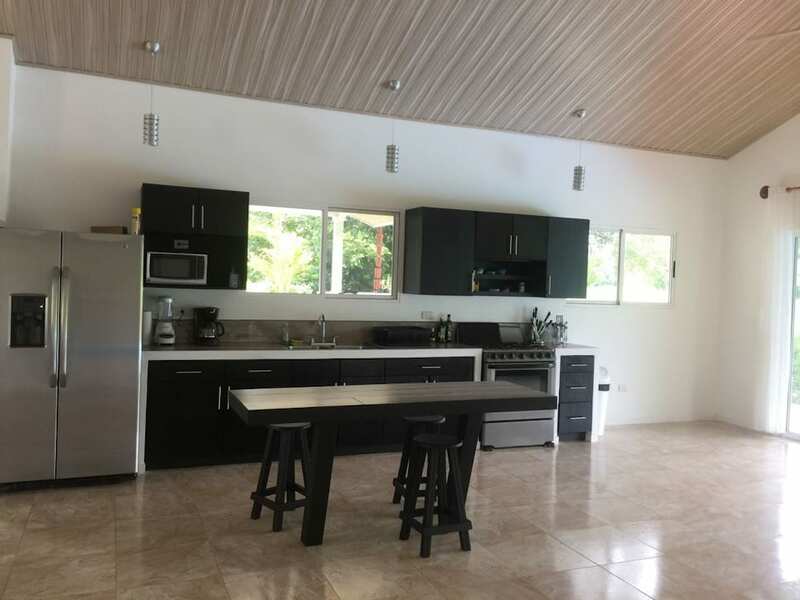 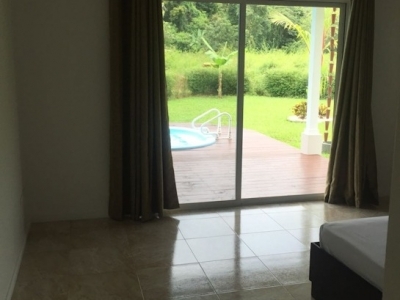 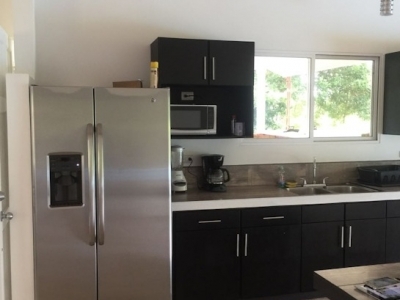 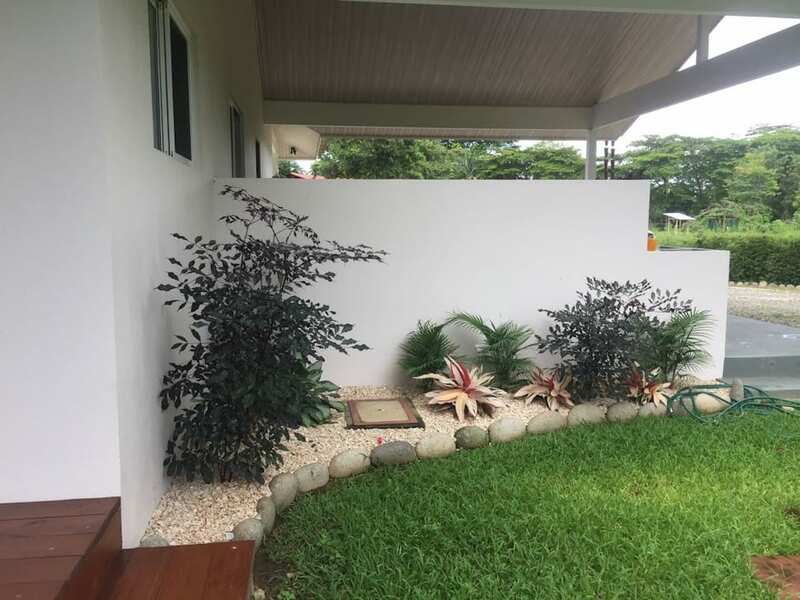 The home is less than 3 minutes from the main coastal highway and 300 meters to the center of Uvita where you will find banks, a supermarket, restaurants, pharmacy and many services including the farmers market open every Saturday. 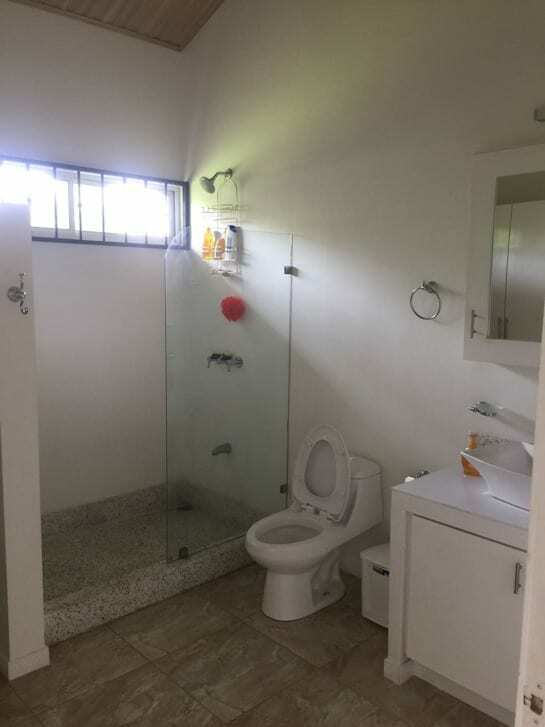 And you are within minutes to a number of local beaches. 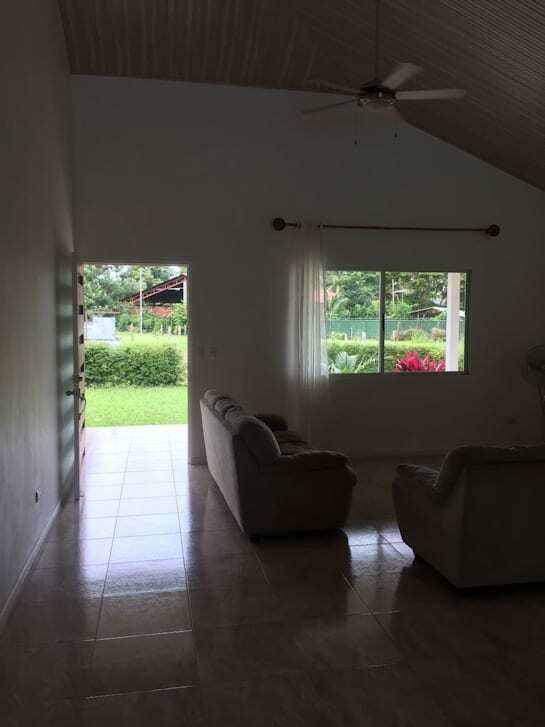 The indoor space has high vaulted ceilings in the great room, kitchen, dining and family area. The large kitchen area has plenty of room to sit around to have a meal or entertain with friends. 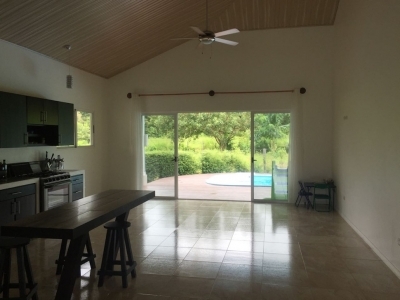 The living room and master bedroom have large patio doors that open onto the pool and patio area. 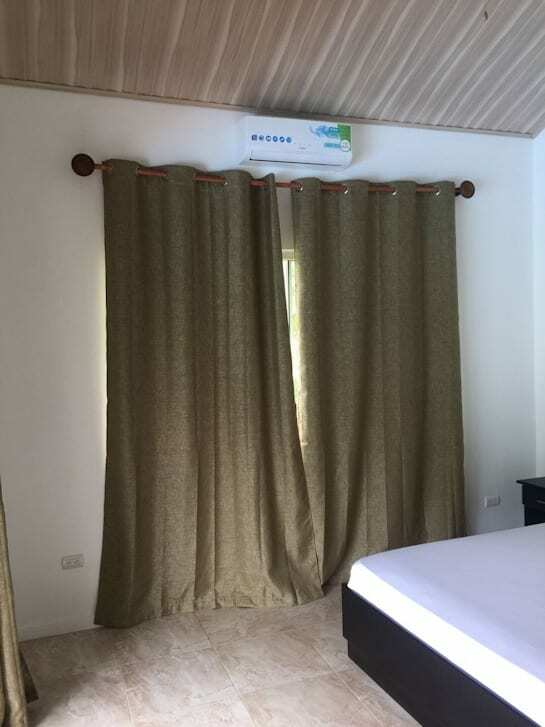 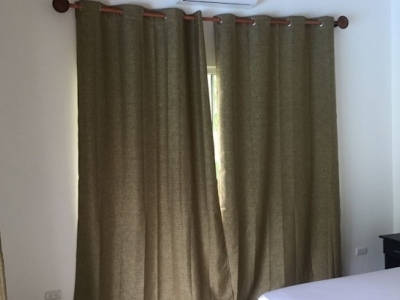 This allows for refreshing breezes to enter the inside living area and easy access for those quiet sessions sitting and reading or getting up first thing in the morning and taking that morning dip. The patio and pool area are large enough to allow any number of people to enjoy outdoor living at the same time without falling over each other. 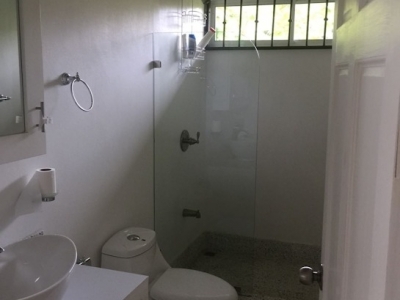 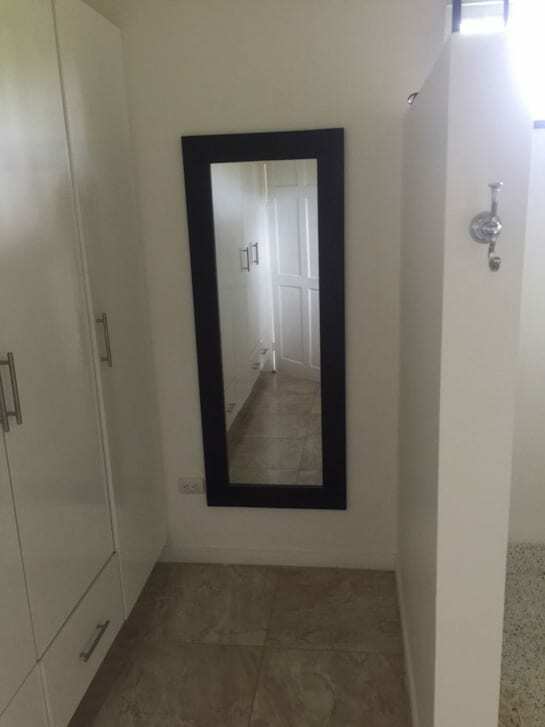 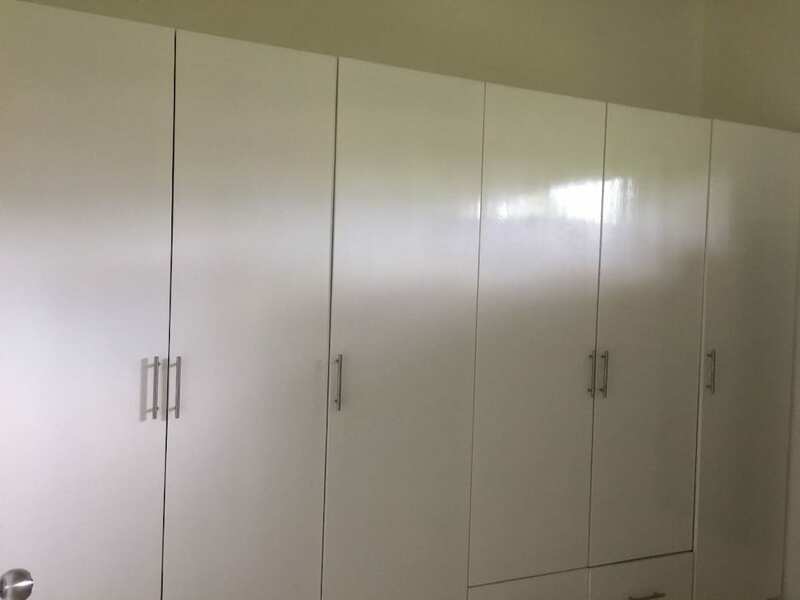 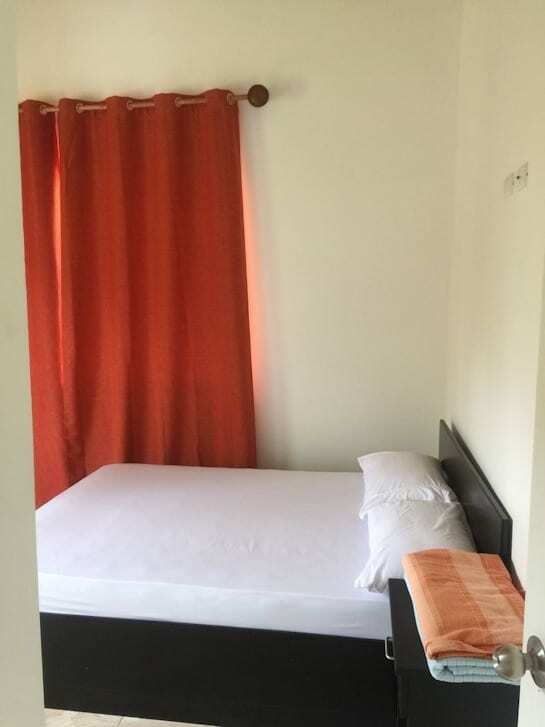 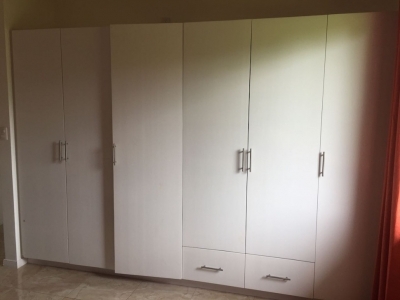 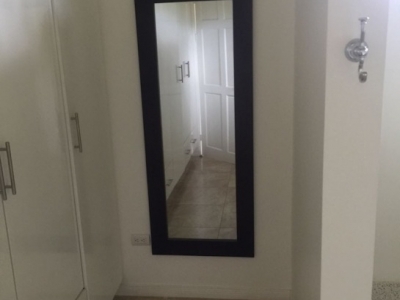 Each bedroom has an attached bathroom so the home could easily be shared between two people if that was an option. 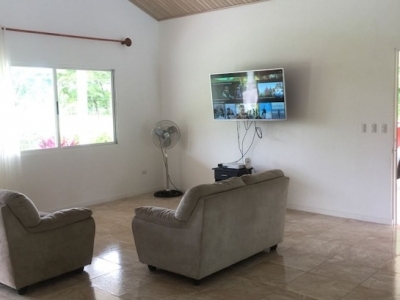 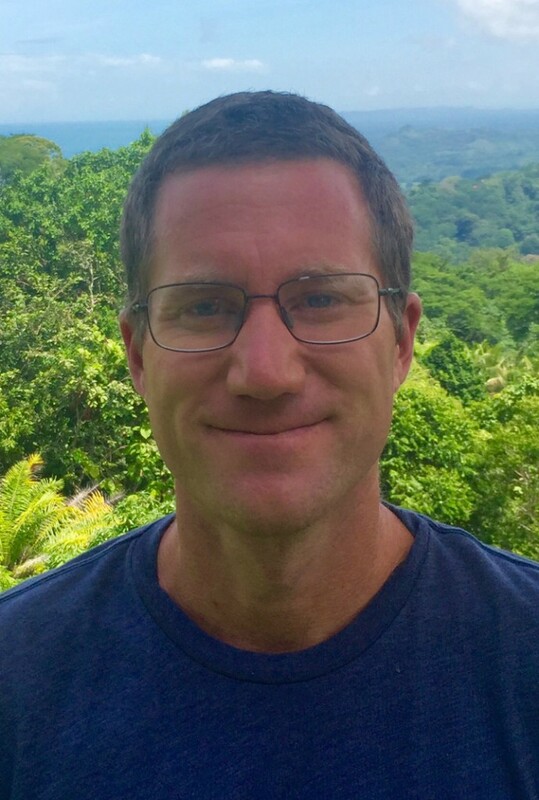 The home could easily be placed in the rental market as Uvita is a very popular destination with very few accommodations such as this. 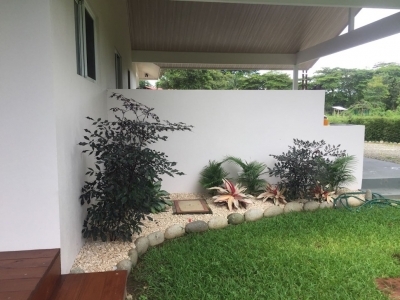 The home is located at the end of a cul-de-sac on a very large 955 m2 lot. Includes and larger carport with room for 2 cars and is private and secure. 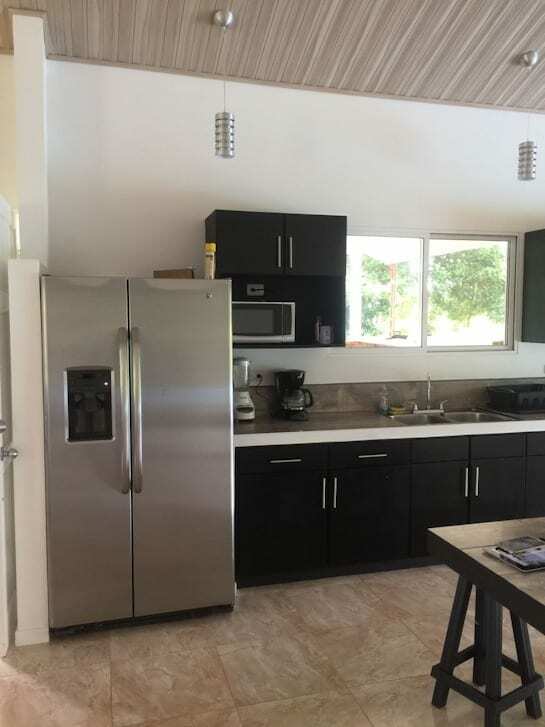 There are very few homes available on the market today in this price range and none that are built this well or offer the features that this home does.